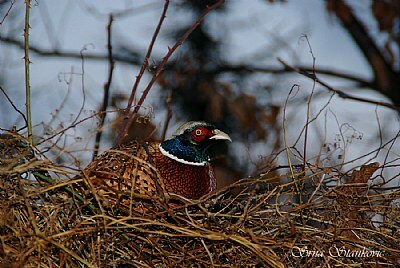 A very pheasant image Srna. Thank you for your very pheasant comment too. Formidable wildlife capture, dear Srna. Superb capture ofthis beautiful bird. So much nicer to see it this way rather than on a plate. Excellent in all aspects dear Srna, clarity, colors, focus and perfect composition. wonderful capture my dear Srna.